Let your website update automatically with relevant social media content! Creating the social wall for everyone has been at the heart of our mission here at Walls.io ever since we started back in 2014. We do our best to provide you with an easy-to-set-up, customisable, and flexible social media wall solution. We strive to make Walls.io accessible to everyone. A while back we introduced a Free plan for our product to make sure that Walls.io can truly be the social wall for everyone. Since then, thousands of Walls.io users all around the world have been making the most of their free social walls. Our social walls have been bringing people together at weddings, parties, school reunions, university campuses, offices, BarCamps, museums, balls, charity events, birthdays, office receptions, concerts, conferences, restaurants, shops, etc. The list of social wall use cases is endless. Now, we’re making the Free plan even more awesome. Many users were disappointed about not being able to use the website embed feature as part of their free plan. We listened and we’re proud and excited to announce that we added the website embed option to all our free plans. No strings attached, no credit card required. Now, really everyone can use the Walls.io social wall and even embed the social widget on their website. If you already have a free social wall, you can go ahead and embed it on your website. It’s really easy and only takes a minute. To give you a helping hand, we even wrote a tutorial on how to embed your free social media wall on your website. There are many advantages to using a social media wall on your website. Your social content adds a fresh feel to your website by showing that you’re active online and interacting with your customers and fans. And it can show what your fans are saying about you. And who better to talk about you, your products or services than your loyal customers? Choosing to offer a Free plan a while back was not an easy decision to make. Why would we want to give away our product for free, a product which we believe provides great value at a competitive price? Why would we add an awesome feature such as the website embed to our Free plan? The reason, quite simply, is YOU. More specifically, the diversity of Walls.io use cases you have been demonstrating over the past years: from large agencies running several hashtag campaigns in parallel on brand websites to big brand conferences displaying our social wall on dozens of customised displays; from countless non-profit events all over the world to private uses at weddings or parties. We opened up our core product to really everyone in need of a social media wall, be it for private use, smaller events or non-profit causes. Looking back, we think that it was a great decision. That’s why we decided to make the Free plan even cooler now by allowing users to embed the custom social wall feed on their website. Use the Walls.io WordPress plugin. Use a website builder. 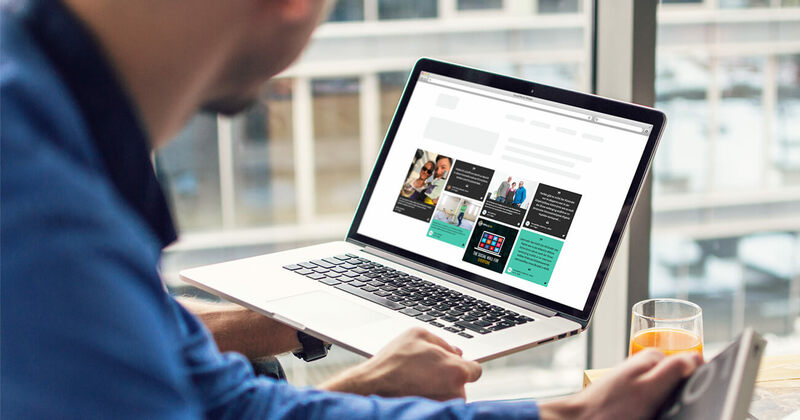 If you’re using Squarespace, Wix, Weebly, or Jindo then check out this tutorial on how to embed a social wall on your website using website builders. The Free plan is super cool and for many users, it offers everything they need. But, of course, our Pro and Premium plans offer many more features that make social media walls better and more flexible. Compare the features lists for our pricing tiers to make the best decision. We’re excited to find out how you’re using your free social media wall. If you’re using it for an event or as a display in your office or store, send us some great photos of your social wall or tag us on Twitter — @walls_io. If you’re using the website embed, send us a link to the page where you have the social feed embedded. The most spectacular and interesting use cases make it to our blog in the showcase section. If you have any feedback, questions etc., please let me know in the comments here! I’m looking forward to hearing from you! No time to keep your website up to date with fresh content?
? A social media hub is the perfect solution for you!